The author of this title has developed 14 compositional formats that are key to a refined and pleasing painting. Each of the 14 formats helps artists successfully paint any particular picture type or landscape or solve a particular problem, such as arranging shapes in a close-up situation or arranging masses together in a pyramid or triangle shape. Each format is clearly presented and there are seven step-by-step full painting demonstrations, five in oil and two in watercolour, to solidify the reader's understanding of how a particular design can be used. 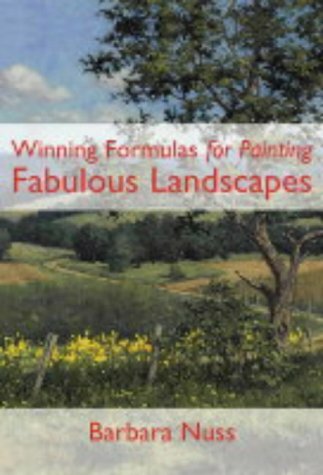 Barbara Nuss is an award-winning landscape painter who has been teaching painting since 1983. She is a member of the Salmagundi Club of New York City and her paintings have featured in the Arts for the Parks Top 100. Barbara lives in Woodbine, Maryland.